No matter whether you want to prepare for camping or a disaster of any type, you need something that’s highly nutritive, yet not very bulky. Nourishing emergency food bars may be the best option for superior preparedness. 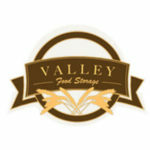 Food bars, which contain all the daily nutrients you need, are an ideal solution for backpackers, campers, and preppers. Not only do they come in vacuum packs, but they’re also very tasty. If you like spending time outdoors or want to be prepared for any occasion, emergency food bars may be the perfect choice for you. Main Features: 20 ER Emergency Ration bars; each bar can be divided into nine 400-calorie pieces, which can remain fresh if you keep them in their re-sealable bag. ER Emergency Ration 3600 Calorie Emergency Food Bar is a bar perfect for your survival kit or camping trip. It’s very convenient and can easily fit in any bag or backpack. 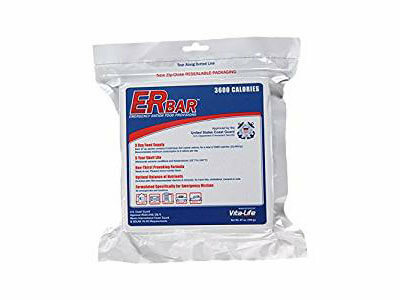 ER Emergency Ration 3600 Calorie Emergency Food Bar is delivered in a vacuum-sealed package with a zip-close that preserves the bar’s freshness. There’s a single bar in every bag and it can be easily divided into 9 equal pieces. It doesn’t require any kind of preparation and can be eaten straight from the pack. The US Coast Guard has approved this emergency food bar. 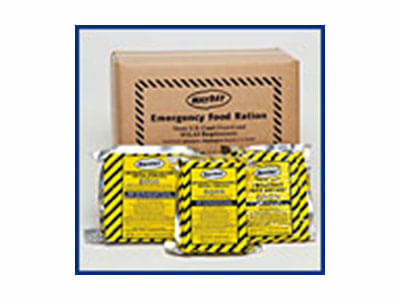 ER Emergency Ration Emergency Food Bar can withstand extreme temperatures, ranging from -22 to 149 degrees F.
This pack contains 20 cases of ER Emergency Ration 3600 Calorie Emergency Food Bar, meaning you’ll have enough food to survive for days. You can purchase this item wherever in the world you’re located, but keep in mind that shipping is only free for US addresses. Main Features: Mayday 3600 Calorie Food Bars are carefully baked and prepared for extreme situations and conditions. There are nine 400-calorie bars in each package that are ready-to-eat as soon as you open the package. 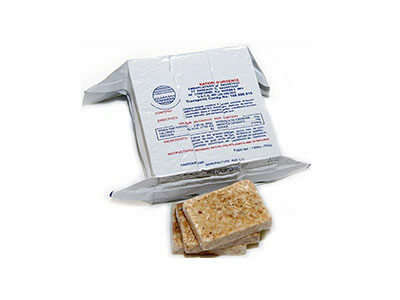 Mayday 3600 Calorie Emergency Food Bars stand out among emergency preparedness items, as they are extremely nutritive. You could say they are the perfect survival food. Mayday 3600 Calorie Food Bars stay fresh even in extreme heat thanks to their extraordinary packaging. They can remain edible and fresh even after the temperature goes up to 149 degrees F.
Both the US Coast Guard and the Canadian Transport Department approved the quality of Mayday 3600 Calorie Emergency Food Bars, which means they’re truly great for any emergency situation. 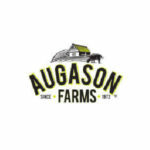 Each ration is created to feed an adult and provide you with all the daily nutrients your body needs to function optimally. With a case of Mayday 3600 Calorie Food Bars in your backpack, you can stay calm in any emergency situation since you can be certain that you have enough food supplies to last you a few days. Main Features: 3600 Calorie Food Bar provides 9 highly-nutritious emergency bars. Each bar has a nutritional value of 400 calories and it’s perfect for any backpacking trip or unexpected disaster. One of the most interesting and useful products Survival Frog offers is a pack of excellent emergency food bars. If you’re a passionate adventurer or a dedicated prepper, 3600 calorie food bars are an excellent choice for you. They are perfect for any unexpected occasion, as well as for camping or backpacking trips. Pack them easily in your pocket or backpack and have a tasty treat at hand at all times. Each bar is wrapped separately. These highly nutritive bars are vacuum-sealed so they can stay fresh until you decide to open them. They can stay fresh for years, mind you. Survival Frog 3600 Calorie Food Bars have the flavor of shortbread cookies and we’re certain you’re going to enjoy each and every bite of them. 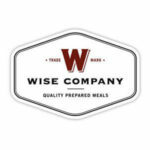 They aren’t just an excellent alternative for cooked meals when you’re in an emergency situation, but also a tasty snack while you’re hiking or camping in the middle of nowhere. You can have your Survival Frog 3600 Calorie Food Bars delivered anywhere in the US, including Hawaii, Alaska, and any US territory. They also offer international delivery. Emergency food bars prove that you don’t need tons of food to survive outdoors. Just a small bar in your backpack is all you need for a couple of days in nature, or in case you get stuck in your basement during an emergency situation. We hope our selection of the best emergency food bars has shown you that prepping can be pretty simple. You don’t need extra tools or ingredients, as emergency bars are ready-to-eat at any point. Luckily, you don’t have to be Bear Grylls anymore in order to survive in extreme conditions. All you have to do is store enough highly-nutritive emergency food bars. Every bar from our list is of the highest quality and approved by the US Coast Guard, so you can rest assured that you’re making a good choice no matter which brand you select. Therefore, you can make your choice in accordance with some other criterium. If you need lots of emergency bars, you should opt for a big packaging. On the other hand, if you’ve never tried a food bar and aren’t sure if they are the right choice for you, then you should opt for a smaller package. Remember that emergency food bars are also food, so you should try different flavors and choose the one you like the most. This way, you can fully enjoy you outdoor adventures or get through an emergency with relative ease, at least when nutrition is concerned.